Regardless of where the rivers originate, they in their long journey, altogether follow different paths and terrains, but their ultimate point of confluence is the sea, where their arduous journeys end. So are the various religions and great like-minded leaders who choose different methodology and strive hard for a common goal - welfare of the humanity. 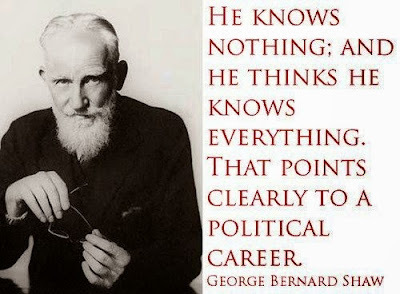 non-violence'' and George Bernard Shaw, ''the voice of the voiceless'' of labor classes of the British society, surprisingly share similar traits. Hence, among world personalities, they stand apart and remain immortal figures - shinning stars in the firmament along with a host of remarkable human beings like Abe Lincoln, Nelson Mandela, Mother Theresa, Martin Luther king, Jr (the list goes on). Through out his life never had Gandhi advocated violence, for he knew very well, ''violence begets violence'' and the net result is zilch! Definitely, one will end up in a blind alley. As a young lawyer in South Africa, in the early part of 20th century, his idea of non-violence and strict adherence to the moral principles of satyagraha (non- cooperation) became his powerful tools (which became handy during India's freedom struggle) to fight against the tyrannical leaders of apartheid South Africa who classified people on the basis of their skin color and racially segregated them. His political methodology had a great impact on South Africa that had touched the conscience of every moral white human being world over. Shaw, like Gandhi, was a true believer in non- violence - killing animals as well as people. He was against war. 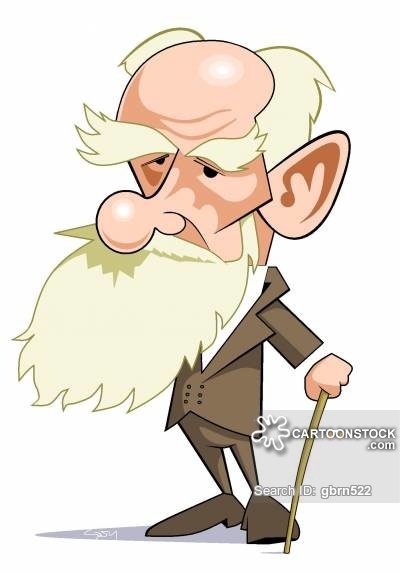 During his tour in India in January, 1933, meeting the media in Bombay, about the looming world war, Shaw said,''...it would have the advantage of wiping out several millions. War is the thing people get enthusiastic about. It is a curious thing, people whom you admire most are people who kill most. One reason why people not admire me or Gandhi is we have not killed anybody. If Gandhi were to kill six million people, he will at once become a great hero.'' However, Shaw was against disarmament. "If you disarm them, they rearm themselves"
Both Gandhi and Shaw were advocates of vegetarianism and remained vegetarian through out life. To both of them Vegetarianism also played a key role i n their humanitarian spiritual development. Both of them had long innings - healthy life because of vegetarianism. Incidentally Gandhi was fond of peanuts and preferred goat's milk to cow's milk. Shaw hated beef eaters. When Shaw was shown Western style eateries in Bombay, he immediately remarked, ''Oh, they are the place where men and women eat animals.'' Shaw became a vegetarian in his early twenties after listening to a lecture by H.F.Lester. He strongly believed that Vegetarianism would positively improve the quality of human life and get rid of the vestiges of inherent animal instincts in humans. Gandhi, once tried beef eating in order to be strong. while studying laws in London, he remained a vegetarian and never tried western food. To Bernard Shaw, vegetarian food was good for spiritual orientation and clear thinking. “But death is better than cannibalism'. marginalized and underwent untold sufferings. 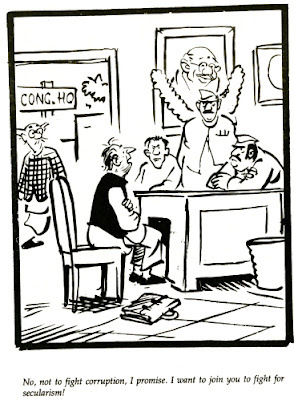 Gandhi was very upset and told in no uncertain words that untouchabilty should go. He called the untouchables ''Harijans'' (God's people). Shaw, on the other hand, very much resented the presence of classes in the English society. The labor classes who were being treated like untouchables. The workers were living in abject poverty and in poor living quarters - something like ghettos. While the English aristocrats and royals with palatial palaces were wallowing in money and luxury. Shaw hated the squandering of public money for the luxury of eccentric, arrogant aristocrats with fancy titles and the vast disparity between the poor labor force and the rich. To him ''The higher classes were least enlightened.'' Though he was not a communist, he was a staunch supporter of labor. To him, in Parliament democracy, people talk (rather yap) a lot and do nothing for the ordinary people. Both Gandhi and Shaw had great admiration for each other. When Gandhi attended the Second Round Table Conference in March 1931 in London, Shaw visited him and hailed him as ''Mahatma Major,” while calling himself “Mahatma Minor.'' Shaw wrote to Nancy Astor, ''He is not a crook; he is a saint . .under the covenant of grace. He described Gandhi as a charming man and exceptionally clear-headed. During his stay in Bombay ( that time Gandhi was in Yervada jail in Pune) Shaw said of Gandhi, ''the second greatest man in the world!'' However, Shaw was against Gandhi's 'fast unto death' method of drawing the Government's attention. He said, '' If I see Gandhi again I would tell him to give it up (fasting). Many surveys say that consumption of non-vegetarian food - beef, goats, pigs etc is not conducive to good health and our body constitution is not fit for it and people who are vegetarians live longer without any major medical problems. 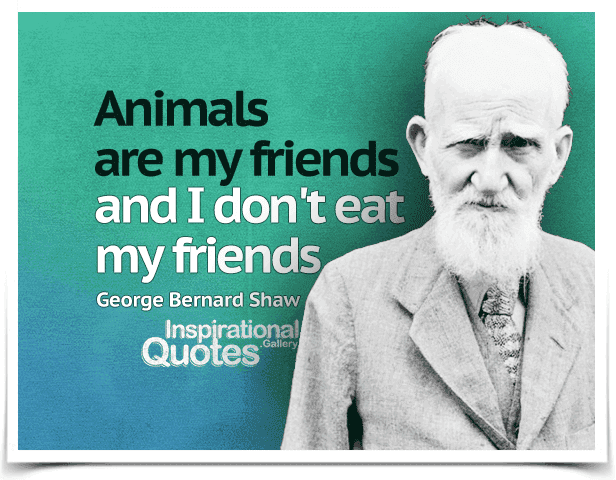 Bernard Shaw and Gandhiji, noted vegetarians, not only give inspiration to the people who love natural, vegetable food and shun animal killing, but also to the people who believe in equality of men and women and human dignity. Louis Fischer, The Life of Mahatma Gandhi (N.Y.: Harper & Bros., 1950), 280. GBS by N. Salivateeswaran, Bhavan's journel. oct. 28, 1962 page 100 to 106.